Why is Lt. Jason Redman, a US Navy SEAL someone you should know? 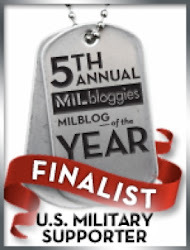 It's not his 18 years of service, or how he was an enlisted man before becoming an officer. It's not because he survived being shot in the face by the enemy, which shattered his face, obliterating his nose and one cheekbone. Or how he endured "The land of stares and gawks" otherwise known as public while he recovered from his wounds. Redman admits to, "Looking really rough," through his recovery. He wore an eye patch, had a tracheotomy tube, along with other tubes coming out of his face, and was fitted with an external fixator or a "halo" which was attached directly to his skull by metal rods which made wearing normal clothing impossible to wear. It is obvious the above makes him an incredible man, but what makes him an exceptional man is how he gathered all of the above experiences using them for inspiration to start a non-pfrofit called Wounded Wear to help his brother's and sister's recovering from their wounds. Wounded Wear hands out kits containing a meadium-weight jacket, polo shirt, three T-shirts, pajama pants and a luggage roller. Free tailoring for uniforms and clothing is also available. Redman believes after being at war for so many years in two different countries the public should recognize the sacrifices of America's Wounded Warriors. As a result the T-shirts say "Scarred so others may live free." These shirts can't be bought, they are only for those who've received a purple heart. 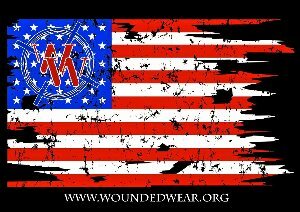 Wounded Wear works with a foundation formed by SEAL Marcus Lettrell to raise the necessary funds to visit the wounded in facilities like Walter Reed Army Medical Center in Washington D.C. and the Navy hospital in Bethesda passing out clothing kits.